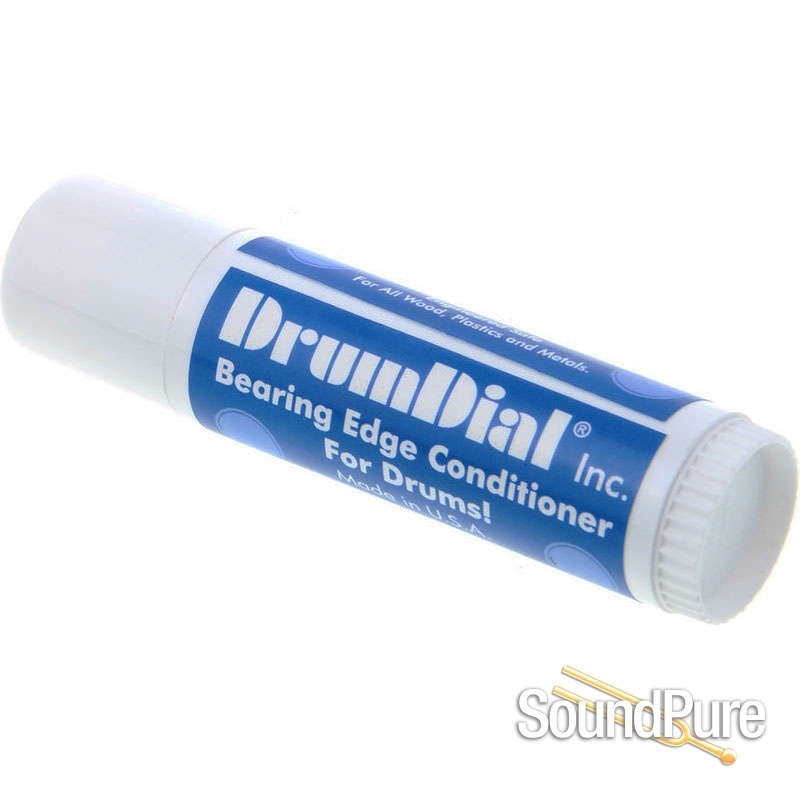 DrumDial's Bearing Edge Conditioner keeps your bearing edges in better shape for a long time, which helps your drums stay truly in tune and lets the head glide smooth as silk over the edge during the tuning process! This product is not wax, soap, or petroleum, and won't deaden the resonance of the head. This proprietary blend of high pressure lubricants and conditioners comes in a convenient solid stick, much like chap stick, that prevents messy fingers. Bearing Edge Conditioner will not harm wooden, metal, or plastic shells.